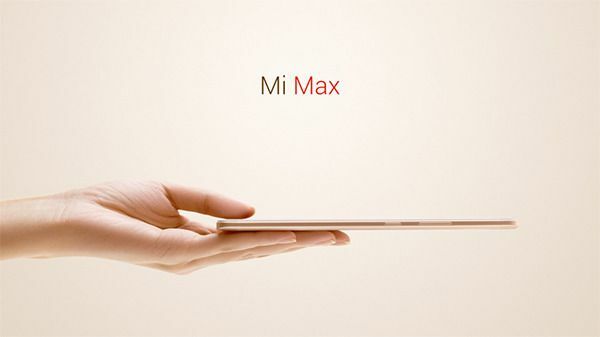 Xiaomi launched its largest display smartphone on Tuesday, the Mi Max. Featuring a 6.44-inch display, the smartphone is available in three variants, ranging from a 3GB of RAM and 32GB of storage model up to a 4GB of RAM and 128GB of storage model. China and its massive adoption of large-screen smartphones, or phablets as they are called, was single-handedly responsible for making Apple reverse its decision on smartphone display sizes being limited to 4 inches. It's in this phablet-obsessed market that Xiaomi has launched its largest smartphone till date. The company says the "supersized screen" on the Xiaomi Mi Max makes it ideal for watching movies and TV shows on the go. We take a look at the new smartphone from the Chinese manufacturer, and try to single out its top features. Of course, without question, the top feature of the Mi Max is its large display. The 6.44-inch screen features a full-HD resolution of 1080x1920 pixels, and comes with a Sunlight Display mode that enhances legibility even under harsh sunlight. The company is also touting a night reading mode, apart from the "dynamic global pixel adjustment". Of course, with such a large display, a large battery would also be required. The Xiaomi Mi Max bears a 4850mAh battery, the highest capacity battery on any of the company's smartphones. While Xiaomi has not provided detailed battery life figures, it says the battery can support up to 14 hours of streaming video (via Wi-Fi) on a single charge. The Xiaomi Mi Max features a 16-megapixel rear camera with a 5-lens setup and a large f/2.0 aperture. It is accompanied by a dual-tone flash, and supports phase detection autofocus (PDAF) apart from HDR. The front-facing camera on the other hand sports a 5-megapixel sensor, and is accompanied by the same large f/2.0 aperture apart from an 85-degree wide-angle lens. 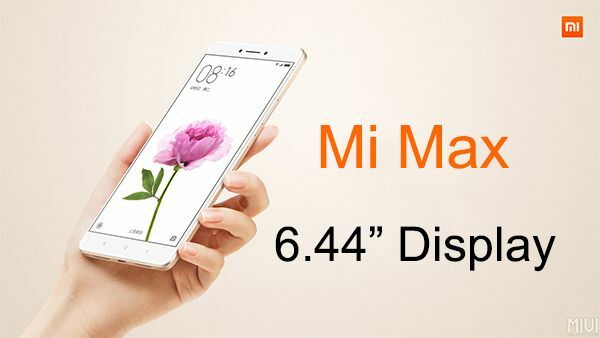 While not especially slim for a phablet - after all, as the size of the smartphone increases, it is easier to space out components to keep thickness in check - the Xiaomi Mi Max is just 7.5mm thick. This was touted by CEO Jun Lei ahead of the launch as well, and should be useful in slipping the massive phone away into a pocket. Once again, while the fingerprint scanner is by no means an extraordinary addition in the smartphone segment, the inclusion of the sensor on the Mi Max will be useful for users, from authorising online payments to unlocking the smartphone. The Mi Max also comes with an infrared emitter, which can be used as a universal remote controller - a handy feature. Other standout features of the Xiaomi Mi Max that didn't make the list include the presence of 4GB of RAM and 128GB of storage in the top variant, the ability to expand storage via a microSD card, as well as VoLTE connectivity.